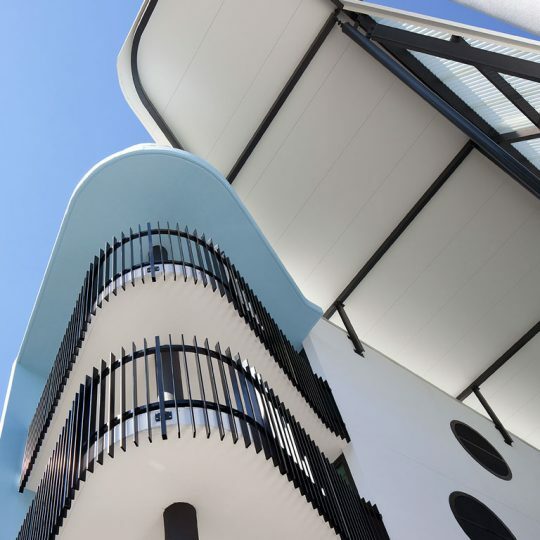 The architectural approach focused on the AML&F Woolstore building as an enduring structure that would offer a unique experience for housing. The historic materiality evident in the oversized timbers and exposed brickwork emphasise the passing of time endured by the structure. The design seeks to capture this quality for all inhabitants and visitors to the building. The major design intervention is the creation of a 3-storey central breezeway spine that links the building both vertically & horizontally through a series of void and landscaped walkway spaces. The existing roof sheeting is removed, exposing the structure and a new floating fibreglass roof hovers over the void. 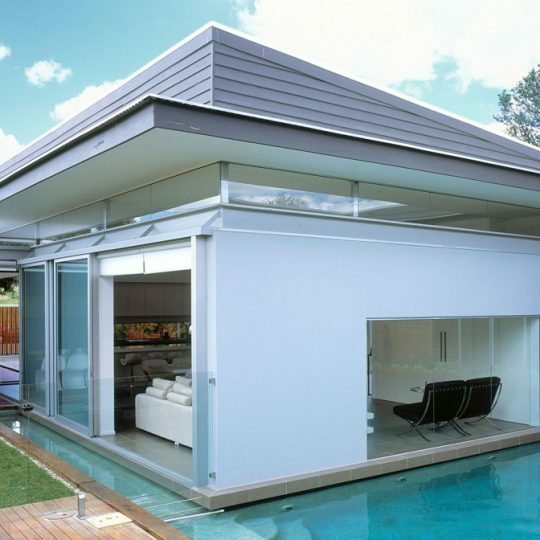 The new roof protects the interior from sun and rain whilst allowing the breezeway to naturally ventilate. Separation of units across the breezeway enables openable windows onto the space and thus natural ventilation & increased natural light into the units. The overall mechanical services load upon the building is drastically reduced. 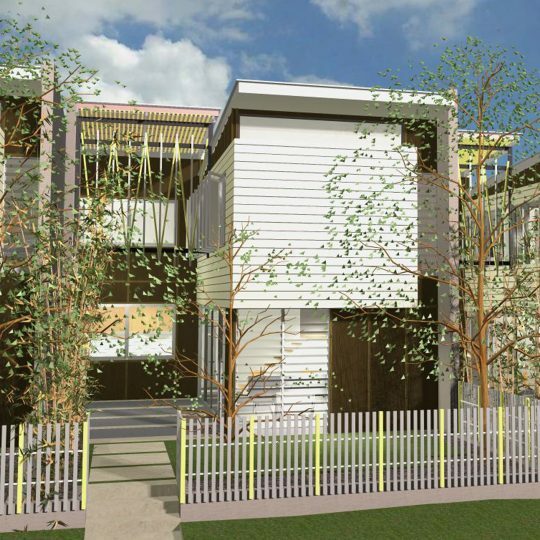 The individual unit plans have been simplified into grouped typologies on each level. A two storey loft/townhouse variation enabled maximum character of the Woolstore space to be experienced in many of the units. Typically floors were concrete topped, thus exposing the more decorative carpentry in the joist framing rather than the dubious quality of the boards. 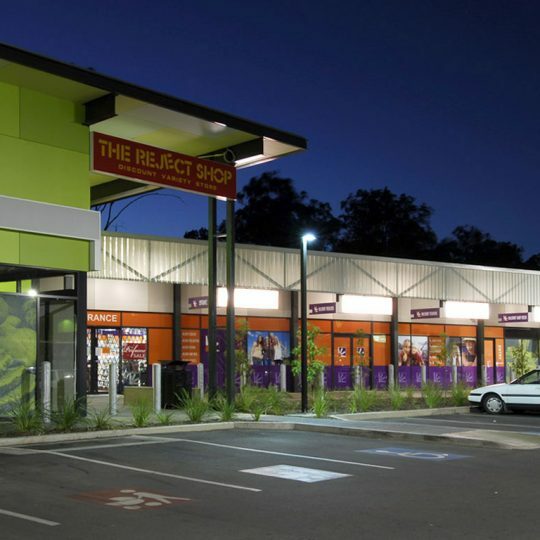 The retail precinct at street level enlivens the Vernon Terrace street front with the addition of a timber deck to the existing loading dock edge. The shop tenancies provide a neat buffer the car parking set behind at former natural ground level of the building.